On 3/31/19, Drew fell while crossing the parking lot to the apartment building. He tripped on the curb, put out his left hand to stop the fall, and ended up that night in urgent care for an x-ray. Turns out he sprained his wrist (mightily bruised his hand) and had a small fracture in his left elbow. Thankfully it wasn't much worse than that, but the fracture is about 3mm - just large enough that the ortho doc said he'd prefer that Drew have surgery to make sure it heals properly in place, rather than put him in a cast and leave it up to nature. 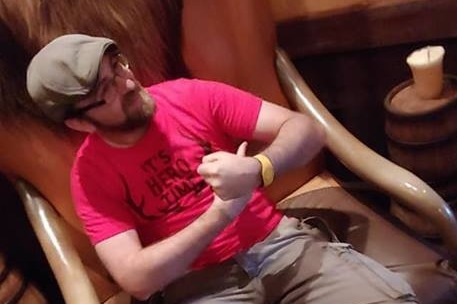 Drew's elbow surgery is 4/9/19 and should be a fairly easy outpatient procedure for him but it will mean at least six weeks of recovery time, during which he will have to modify how he performs his desk-based dayjob and may have to work less at Universal on weekends depending on how things go. We are hopeful that everything will go smoothly and that his strength and youth will lend themselves to a speedy recovery. Mel and James are offering to help fundraise this money because although Drew has some insurance through his day job, Aly's income is still fairly low due to the amount of hours she gets at Universal this time of year. She is trying to pick up more work but also will need to be able to take care of Drew and drive him where he needs to go while he's recovering. 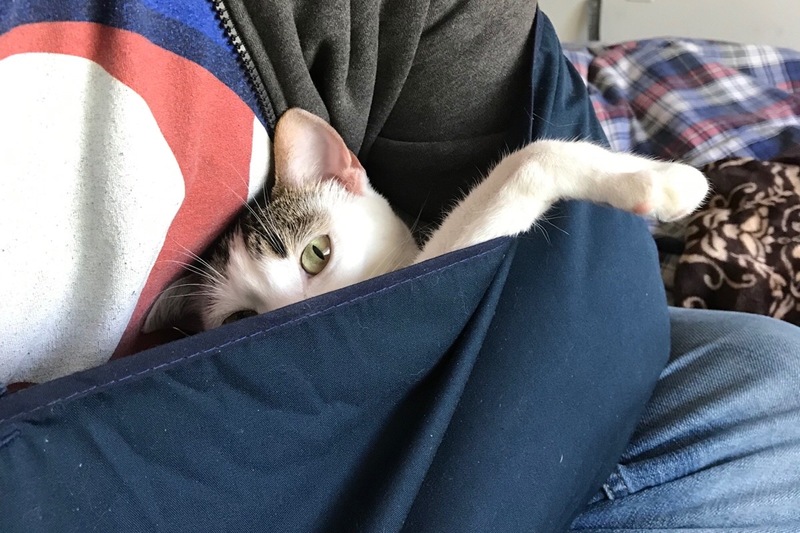 Anything you may be able to donate will be helpful to provide security, cushion, and assist in helping to pay off the medical bills from Drew's surgery, which will cost around $3500 in total. Aly and Drew have it set up to be paid off in payments without interest or fees, thankfully, but still any money that is raised here would go a long way to making sure they have what they need. "Drew's bills are starting to come in. We have set up a payment plan so it won't be all at once but the numbers are legitimately scary. His whole surgery process would have been $60k without insurance... not counting the actual surgeon's fees. The good news is with insurance it looks like the surgeon's fees are down to about $200 (and that's $200 for every visit we've had with this doctor in addition to the surgery itself) and the surgery whittled down to about $4700. Additionally, the doctor has advised Drew meet with a physical therapist to make sure his endurance, strength, and mobility are brought back up to speed on his left elbow. We're still trying to get an appointment with one nearby, but we don't know how often he'll need to see the PT, or how much that will cost. Navigating this whole thing has been so scary and we're so lucky that Drew's situation wasn't worse. We're really grateful to everyone who has helped so far - it's been deeply reassuring to have your help and support. It means the world to us." "Hi everyone! We cannot thank you enough for everything you've done so far. It means the world to be able to breathe easy knowing you guys have our back on this while we navigate America's health care system, insurance system, and all the fun and mysterious little ins and outs of recovery. Drew saw his surgeon today for a post-op check-in, the bandages were removed and the site of the surgery examined. Everything looks great so far. Clean, sturdy sutures and a lot more mobility than we thought he'd have at this stage. Things are still a bit tender and easily tired out, which is why the doc advised Drew to take another week and a half off work to regain strength and endurance. He's also supposed to start physical therapy, so we're looking into that next as well. All of the help you are giving us here is not only going to help us pay for the surgery but is helping us get through this period of being off work and having to pay for fees, check-ins, and medications. So truly... thank you all for this generosity. We love each and every one of you. <3"
“Good morning everyone! We cannot thank you enough for all of your kind words, thoughts and prayers, and generous help so far. It is truly a relief knowing that you have our backs as we move forward through this uncharted territory. Last night Drew’s surgery was supposed to have been at 4:30 EST but instead did not begin til nearly 7:30. It meant a long day of waiting... and fasting. Poor Drew hadn’t eaten in nearly 24hrs by the time they put him under which meant for rocky stomach issues after. Luckily his pre-op nurse Amelia turned out to be a fan of Critical Role and a D&D player herself (because of course!!!) and great conversation helped keep Drew’s mind off it. Dr. Service (that’s his name) took great care of Drew and almost 3hrs after the surgery began it was over, and he came out to update me. Drew has two screws holding the fracture in place to heal right, and two more screws with a small metal plate to ensure the elbow does its job properly. Dr. Service commented on Drew’s good strong bones and how well the screws held purchase when placed. Afterward, Drew was groggy and foggy and nauseated but not loopy. We took some time to wait out the nausea and let more anesthetic wear off before taking his prescriptions and heading home. Thank goodness for 24hr pharmacies.